Abraham Lincoln famously stated, “A house divided against itself cannot stand.” It is a familiar refrain that our Executive Director Mark Golden frequently uses when discussing our partnership with the state and territorial societies. The wisdom and truth in this statement is as old as humanity itself. The professional engineering license transcends disciplines and industry practice and unites all licensed engineers under a common banner. We have been and are continuing to work hard to define, promote, and protect licensure for all licensed engineers. In doing so, NSPE continues to develop and strengthen the unity of all licensed engineers. 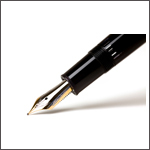 NSPE founder David Steinman’s vision is as relevant and important today as it was in 1934. However, “a house divided” also applies to the regulated practice of engineering. There are several industry trends, both internal and external, that have the potential to sharply divide licensed professional engineers. These trends, which will require NSPE leadership, include additional education requirements as a prerequisite to licensure and discipline-specific licensure. Most importantly, the apparent legislative and regulatory trend to eliminate or reduce licensure requirements requires all licensed engineers, regardless of jurisdiction or area of practice, to be vigilant and proactive. Since 2002, NSPE has held the position that education beyond an accredited four-year degree should be required for licensure as a professional engineer. Being strong as an organization of licensed engineers, however, does not necessarily mean supporting more stringent licensure requirements. Accordingly, NSPE conducted a comprehensive review of all its professional policies this past year, including requesting a review by our members and state society boards for input on increased educational requirements as a condition precedent to licensure. These requirements need to be periodically reviewed, given the rapidly changing socio-economic and technological changes. In today’s context, a critical eye should be given to see if our previously adopted position from 13 years ago is still relevant. The current system recognizes that the line between disciplines can at times be difficult to demarcate and, therefore, allows the individual engineer, similar to other professionals, to exercise the appropriate professional judgment, autonomy, and discretion rather than be controlled by rigid, bureaucratic means. Many of the structural engineer’s activities are also activities of other civil engineering professionals (site, geotechnical, foundation, etc. ), which tend to cross over discipline boundaries. Wouldn’t such a change, then, interfere with the practice of thousands of duly licensed and qualified professional civil engineers? 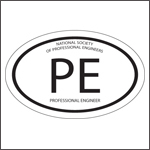 NSPE remains committed to the precept that professional engineers practice competently and ethically. Competent and ethical practice should be addressed throughout one’s career in order to keep pace with changing technology, practices, and regulations. Such practice cannot be rigidly defined and enforced. NSPE and the engineering profession are best served by championing the benefits and value of licensure to industry and to the public. Without the public’s awareness and appreciation for licensure, licensed engineers are doing nothing more than the proverbial back slapping and telling each other how great they are. Being licensed does not mean that the licensed professional is smarter, more ethical, or more competent than an unlicensed engineer. Licensure is, however, a visible statement of an individual’s personal commitment to be held publicly accountable to the principles of ethics, integrity, honesty, and fair dealing. Internally as an organization, we have made great strides in uniting our house, and the NSPE partnership continues to strengthen. Externally, however, much work remains. Unifying the professional practice of licensed engineers and building more public awareness and appreciation for the professional engineer remains a goal for which we strive.